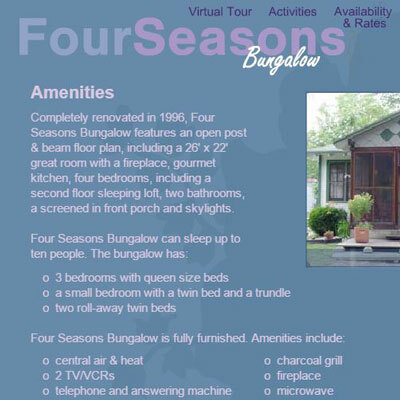 Four Seasons Bungalow is a great example of using sound, animation and a virtual tour to engage and immerse the visitor in the website and the property. 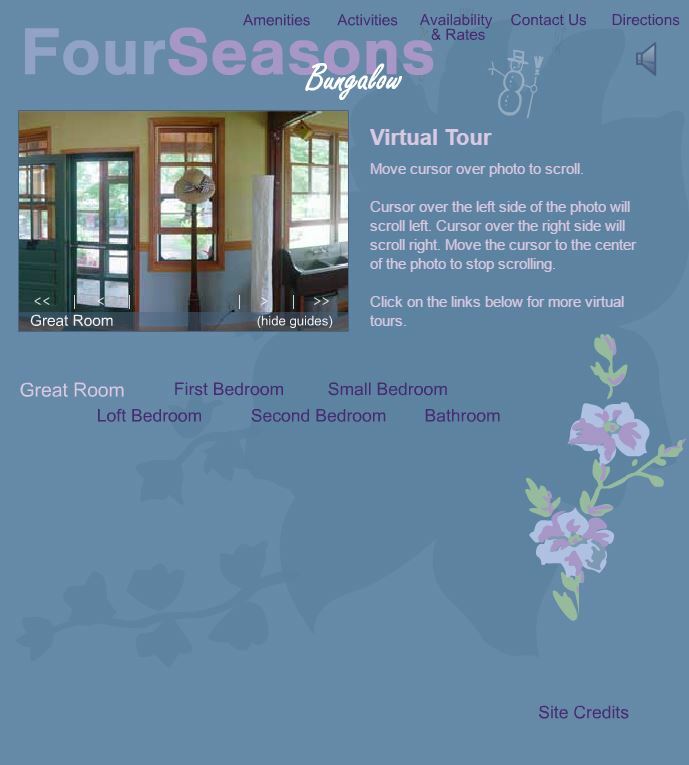 This site was done using Flash in about 2003. I am not advocating using Flash today but it helped integrate audio and animation that were difficult to do any other way back then. Obviously the site is dated. It is not responsive and Flash wouldn’t run on a mobile device anyway. Still it is a nice design. The visitor gets introduced to the property and the site using an entry tunnel with voice over and animation. The client wanted to emphasize that this was a great time to visit all year round. The site was typically booked all summer but vacant much of the rest of the year. 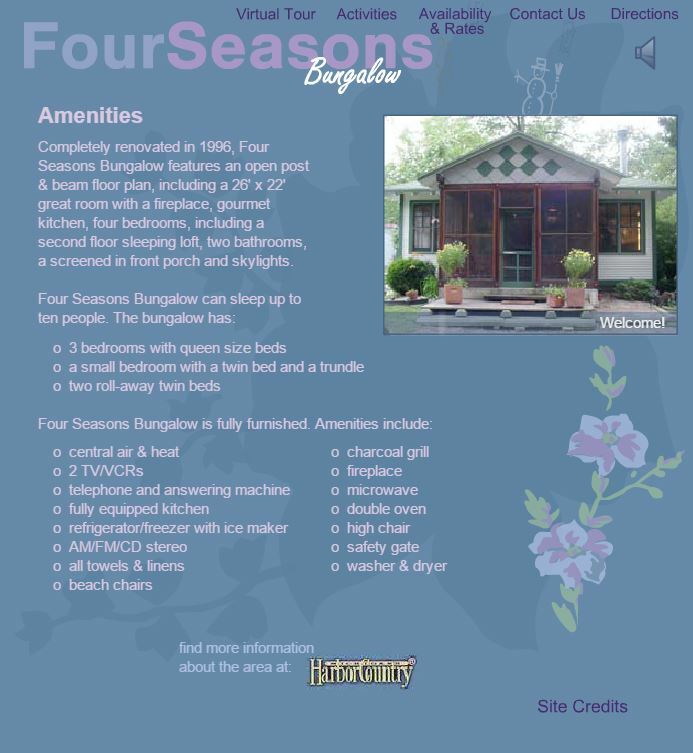 Obviously the name Four Seasons helps communicate this. The animation of the leaf, sun, snowman and flower reinforce this. This along with the mini-slider give the page a bit of movement and life without being distracting. I photographed all the rooms in the house, with shots covering all 360 degrees and stitched the photos together. 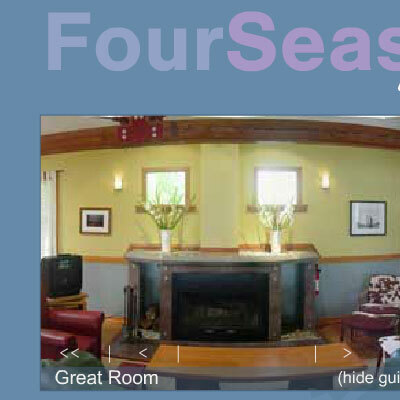 I coded a widget that let the visitor view the photo loop of each room as if they were standing in the middle and could turn completely around. This gives the visitor a great sense of the space and also engages them to interact with the site.